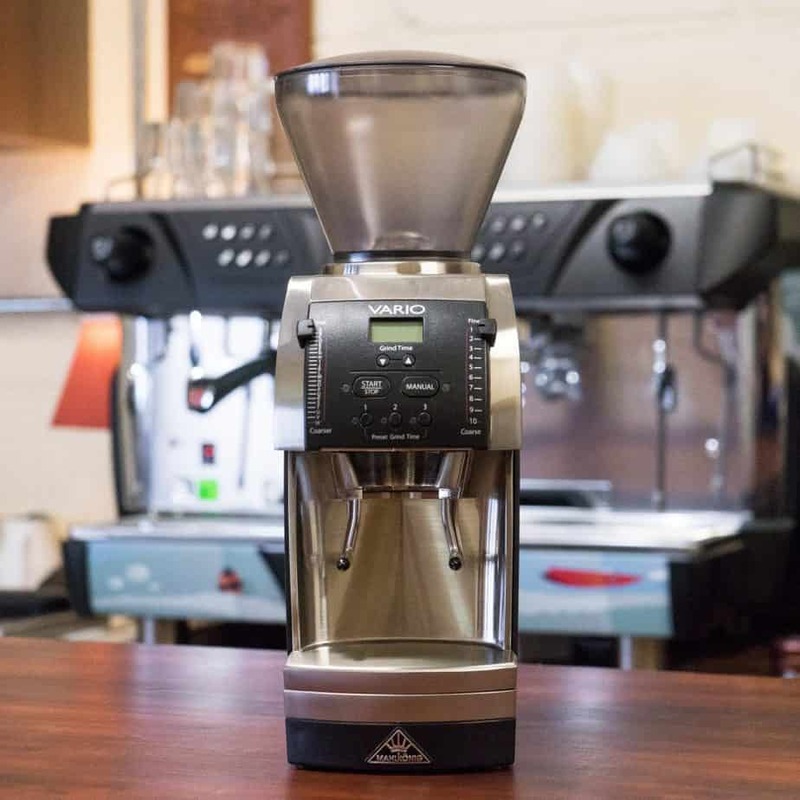 Home » Mahlkonig Vario vs Baratza Encore: Which Grinder Should You Buy? Mahlkonig Vario vs Baratza Encore: Which Grinder Should You Buy? Grinding your own coffee is a current trend that shows no time limit. In fact, most people do not realize just why they should grind their own coffee and how many benefits they are going to see from it. So many people love to have their morning cups of coffee and they want the best coffee possible. There are even people who believe that they can’t have those same delicious fresh brewed cups of coffee that they get from their local coffee shop. This is where grinding your own beans comes in. If you grind your own beans, you are going to be much happier with the overall quality of your coffee and the impressive flavor that you get with a truly fresh cup. The Mahlkonig Vario and the Baratza Encore are two coffee grinders worth considering if you are in the market and want to make all of your fresh coffee dreams come true. Is it Really Worth It to Grind Your Own Coffee? We get it, no one wants to spend any extra time in the morning if they do not have to. Sometimes even getting up two minutes early seems dreadful. You might want to soak up as much sleep as possible and have your morning routine tightly nailed down. However, increasing your time preparing to grind fresh coffee beans is worth it. Trust me, you will be thanking us later. Everyone wants the best cup of coffee every single morning. This is why it is worth it to grind your own beans right before brewing them. This is going to take a little bit longer, but you will find that it is a great investment of time when you have your fresh coffee and are enjoying it. There are so many people who would agree that it is definitely worth it to take a few extra minutes to enjoy that perfect cup of coffee. The Mahlkonig Vario is a single grinder that is very fast. As a bonus, it looks stylish and sleek. You can utilize the top grinding technology by purchasing this grinder. It is a very efficient grinder that is able to deliver the best ground fresh coffee. The grind is going to be absolute perfection when you use this machine. The machine is unique and special with a special “grind on demand” principle. This is where the grinds are distributed into the portafilter immediately after grinding. This helps to ensure that you do not waste any coffee and that you get the freshest and best-tasting cups of coffee. This machine is more geared towards high-performance outlets like coffee shops and might be a bit much for the average home coffee drinker. They are compact in size and have different color options. They are easy to use. Many people do decide to purchase one for their home use even though that was not the original intention of the company. This grinder is a perfect machine for anyone who is looking for very precisely ground coffee. It has a lot of features and offers you a chance to actually preset your grinding times. You can also change the coarseness of the grind in order to create your own perfect cup of coffee. This machine is electronic. It works very fast and is able to actually give you a single shot of espresso in less than two seconds. Mahlkonig is a company that has dedicated almost one hundred years to manufacturing the perfect coffee grinders and graters. Many of their products are made for commercial use. The machines are intently engineered by professionals who put all of their energy into producing an excellent product. Mahlkonig is a brand that is associated with a superior quality and dependability. They use modern techniques and machinery. Each machine is hand-crafted and built with superior detail, engineering and seriously gets the job done. From 2009 until 2014, Mahlkonig actually won the top place as the Grinder Sponsor for the World Barista Championship. The K30 Vario and K30 Twin espresso grinders were the ones that were chosen to be featured at the competition. So, when you are looking at the Mahlkonig Vario, remember that you are looking at a machine that has been considered to be a top choice in the coffee industry. 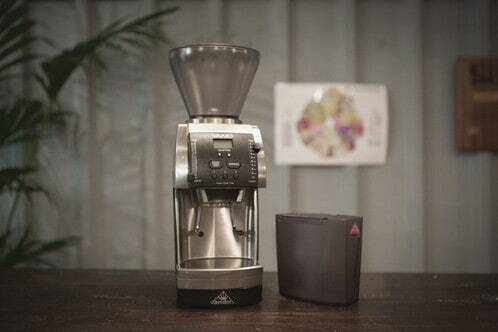 You are going to get the exact ground coffee that you have always dreamed of with the Mahlkonig Vario. This machine is going to help you by guaranteeing that you always get consistency and thanks to present functions, once you find a grind that is perfect for your needs, you will know exactly how to achieve that grind again. One thing that makes the Vario so unique is that it offers you the ability to have the cup of coffee that is perfect for you. There are a number of presets that you can use to help you with being able to ensure that you are always happy. You can control the grind time, exact measurement for perfect portioning, and the coarseness of grinds. Additionally, advanced software and the latest technology help you to have a grind that produces coffee that has the freshest possible taste. The electronic software controls the grind coarseness, the measure of the grind, and other grinding specifics. This software has been designed and is customized by Mahlkonig to give you the best possible coffee. Thanks to over eighty years of research, you are able to have one amazing cup of coffee. Many people do not realize the innovation and technology that goes into each Mahlkonig Vario. This grinder has become a world leader thanks to all of the improvements that Mahlkonig has sought to make. They have made a lot of adjustments over time to the machine and these adjustments have made the overall design and function significantly better than what it had previously been. The company even offers software updates as new technology becomes available. When the portafilter is inserted, there is an automatic start! You can present your favorite settings ahead of time so that the machine is literally ready to go when you are! Each shot is counted and logged into the system. This allows for a full report to be available at any time. You can access this through your designated designer. Optional password protection to ensure that your unit is secure and private. Perhaps one of the more interesting features of the Mahlkonig Vario is the grind on demand feature. This feature allows for even grinds and very little clumping. The machine utilizes cutting burs that are 65 millimeters and flow optimized. This allows the grinding to be done at cool temperatures which ensures that there is no clumping. In addition, when you are grinding your portions are evenly distributed right in the portafilter. This guarantees that there is very little lost in the taste and aroma of the coffee. This is something that actually starts to happen as soon as coffee beans are ground. One of the first things to consider with the design of the Mahlkonig Vario is that the machine has a very high build quality. Mahlkonig is a world leader in the coffee grinder industry because of their dedication to quality and design. 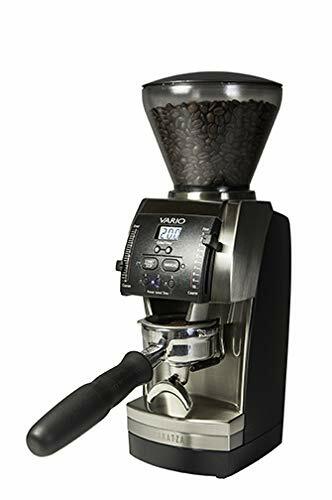 They actually make the highest quality premium coffee grinders that you can find and the Vario is no exception. Users around the world praise the quality of the Vario. This is one of the highest rated coffee grinders in the world and people from around the globe are happy with its performance. They love that they are able to consistently achieve the top quality coffee with this machine. The machine features a stainless steel casing and very durable plastic that is available in both red and black. You are sure to receive a coffee grinder that looks good in your kitchen and is built to last. Another thing that makes the Vario so great is that it is a very efficient machine that has been well designed. This means that there are many great features that allow you to customize and create your own perfect grinds. In 2005 the Vario actually won the coveted Red Dot Design award. It has since evolved and came back stronger as a world leader in excellence and quality. Of course, it would not be as well loved without the many features that truly make this machine great and one of a kind. Modular build that is easy to maintain. Individual barrels have available hopper adapters. The portafilters are universal so they can fit with any machine. Businesses can order specific colors and even branding on the machines if they request it. There is very little vibration and the machine is very quiet. In fact, it is one of the quietest machines that you can buy. An illuminated display that is digital and offers a number of electronic settings and controls. When you combine so many great features, you are sure to get an amazing product. This is one of the best coffee grinders to have sitting on your counter. If you still are not sure, read on to explore some details about the many features that the machine has. The Mahlkonig Vario is a great machine thanks to their high-quality materials. They use stainless steel for the production and this is very important as it allows for the machine to be more durable. In addition, the portafilter and exterior casing of the machine are both stainless steel. This helps them to withstand harsh conditions and the abuse that occurs when machines are used in commercial settings. Another favorite feature is the programmable software that is part of the advanced technology of the machine. This helps you to make sure that you are getting the perfect grind every time that you use the machine. Additionally, you can actually set the preferences for the dosage amounts, grind time, and grind coarseness with the innovative preset feature. This guarantees that you are going to consistently get the exact grind that you want each and every time. Plus, you do not have to push a start button or do anything. You just need to place the portafilter into the machine and then it will automatically run. Once it is finished, you simply remove the portafilter in order to start brewing your own perfect cup. You will also quickly realize that you have the most control with this machine. The effortless grind feature allows for adjustments to be controlled at every single level of the grinding process. This allows for you to have a truly customizable machine. It literally takes a few seconds to turn the adjustment mechanism on top to ensure that your grind speed is everything that you desire. The burrs that are featured in this grinder are large. They measure 2.56 inches and are made from a very durable alloy steel. They are going to guarantee that your grind is fluffy and the best possible quality at a more affordable price. Some other coffee grinder brands that feature this style of burrs are very expensive and literally multiple times the price of the Vario. The best thing about these burrs is that Mahlkonig actually guarantees that you will be able to grind even the most robust and hardy coffee beans. The Vario has a lot of fans around the globe thanks to these burrs that allow for you to have the perfect grind every time. 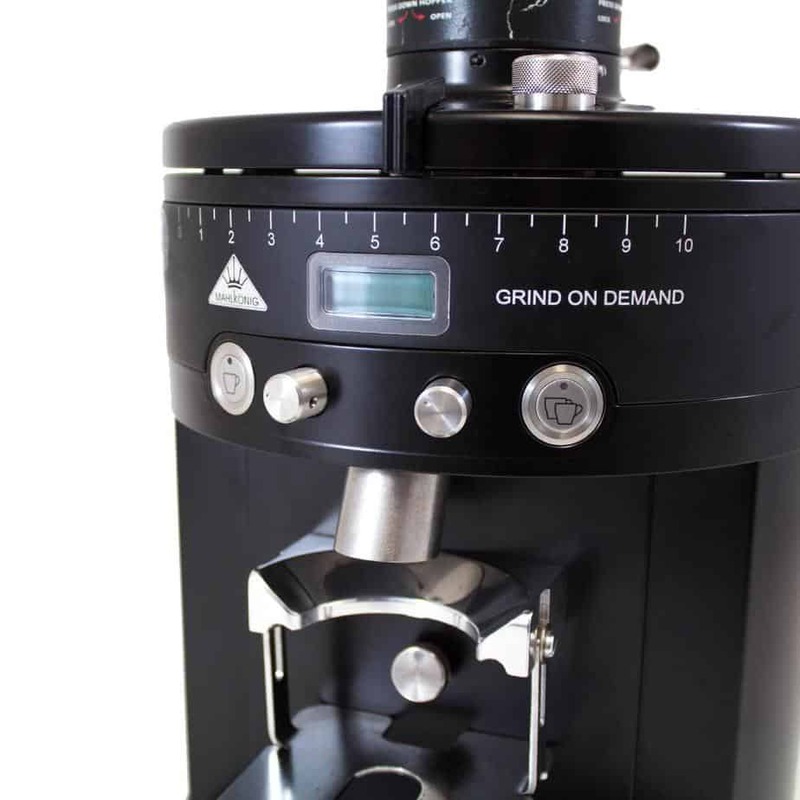 Another great feature is that the machine offers a special grind on demand dosing. Thanks to electronic controls, programmable software, and digital displays, this machine is able to accurately offer you the perfect dose of coffee each and every time. You can actually preset the grind time to .01 second increments. This is going to allow for the most precision when trying to have the right side of coffee grind and dosage of said grinds. The machine stores additional information and offers separate shot counters that are available so that you can easily have a double shot or a single shot. In the end, you will actually be able to check the information and know exactly how many of the shots you have served along with a ton of additional information about the machine. You can even review a list of the last twenty alarm messages that were sent by the machine and when. For those who own coffee shops, this information is valuable when reviewing baristas and their performance. With the grind on demand feature, you are going to immediately get the grinds directly deposited into the portafilter. This is very important to ensure that you do not change the integrity of the coffee. As coffee is exposed to the environment, things like oxygen, sunlight, humidity, and heat can actually affect the flavor of the coffee that you brew. The Vario has many years of research and development packed into one simple machine and you can tell from the first time that you use it. This machine features a unique and patented feature with the way that the portafilter is held in the machine. This magnetic feature is something that you are not going to find on machines unless they are from the Mahlkonig brand. The Vario actually reads the magnet on the portafilter when you insert it into the machine. Once this has been done, the machine automatically knows how much to dose. One of the biggest complaints that people have with their coffee grinders is the noise level that they make. One of the things that you are sure to appreciate is that there are minimal vibrating and a very quiet sound that you can actually talk over! Another common problem with coffee grinders is the high level of maintenance that they require. This machine has a superior maintenance plan and is easier to maintain than most. In fact, you will be happy with this machine from the first time that you clean it. You can easily remove parts and disassemble the machine to ensure that you are able to carry each and every part completely. The Mahlkonig Vario is really one of the best grinders that you can purchase today. It is a perfect accompaniment to most commercial businesses and a great grinder to have at home if you are a coffee fanatic. The biggest drawback for the Vario is that it features a high price tag and costs $1750. While the price tag is high, many people justify the cost once they can make their own cups of coffee at home for pennies on the dollar of what it cost to purchase them at a cafe. Many people who want to start grinding their own coffee are told about the Baratza Encore. (Read my full review here!) This machine is a great entry-level choice and one that offers all of the features that you can have with a grinder at home. 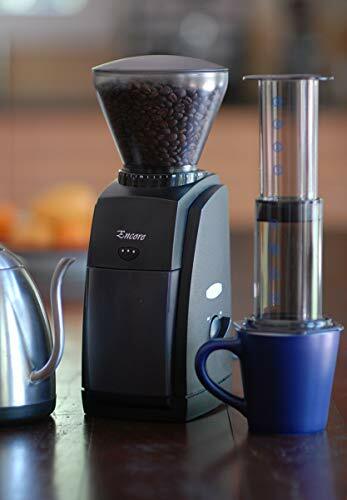 This grinder gives you a great choice of being able to actually get the grinds the exact coarseness that you need for a perfect cup of coffee. The Encore actually has forty (yes 40!!!) different grind settings. This ranges anywhere from the finest grinds that are perfect for baking and making baked goods to the coarsest grind that is perfect for drip coffees and espressos. One of the best things about the Encore is the coarse grind feature that is popular among the manual brewing methods. This is not a feature that all grinders have. The burrs are specifically designed to give a precise grind which helps to balance the extraction when making espresso. Baratza is known for its superior quality. It has a DC motor that actually helps the machine, and consequently the coffee, to be cool. This is actually possible in even the most extended grinding process. The machine features electric and gear speed reducers that help to slow the speed to 450 RPM. This ensures that you receive a smooth bean feed and that the noise, static buildup, and heat are reduced. What you are left with is the best coffee drinking experience. There is a pulse button on the front that allows you to get the exact grind you want into the brew basket. This grinder is a great espresso grinder but what’s even better is that is that it is convenient and allows you to have a variety of grind styles from the convenience at home. The name Baratza comes from both the Arabic and Swahili languages and means a place where locals gather to drink coffee. The company has been trying to make the experience of drinking coffee better since their conception in 1999. Baratza has had one goal in mind since their start and that was to offer the highest quality coffee grinders that feature state of the art technology in order to help users have the perfect cup. The company was founded by Kyra Kennedy and Kyle Anderson. This company quickly became a leader in the industry and has been working to help everyone have their own best cup of coffee from the comfort of home. The company has always had very clear goals which have them to become industry leaders so quickly. Support those interested in specialty coffee – The people who are a part of the specialty coffee community take their coffee loving very seriously. These are the individuals who know their coffee and Baratza is always focussed on learning more and improving their products to facilitate the best possible experience. A commitment to innovation and improvement – The company wants to continue to improve upon their product line while continually striving to have the highest levels of innovation with their products. Some of these improvements have included the grind adjust system that allows for repeating adjustments that are fast and easy, the portaholder that allows one to grind hands free while filling a portafilter, and the unique grind by weight system that allows for the most accurate grinds. The desire for superior customer service – One thing that sets the company apart from others is that they strive to be an industry leader with customer service. This allows for you to call in and get a working grinder into your hands very quickly. This is done by offering a quick and easy to use warranty and customer service agents that actually help to solve the problem over the phone, an easy to use guide for troubleshooting, and by sending you the parts and instructions that you need to be able to service your own grinder. So many people want to know how they can make their coffee better at home. The number one thing that they can do is that they can purchase a great coffee grinder. Thankfully that does not have to cost upwards of $1000 but can instead be an affordable find. 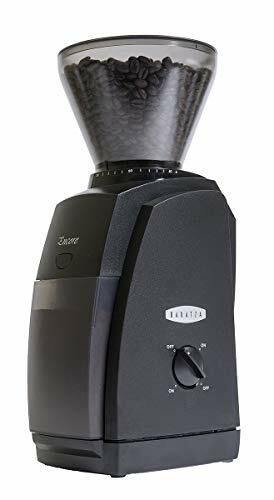 The Baratza Encore is one grinder that has an outstanding performance for a low cost that is under $150. Of course, many people choose not to have a grinder for the obvious reasons. One of the biggest of these is that they do not want one more bulky appliance taking up valuable counter or cabinet space. The top thing that most people find to be impressive about the Baratza Encore is that it is a burr grinder. This significantly improves the quality of your coffee. This is because a good coffee grinder can even help to grinder cheaper coffee beans into a delicious and worthy cup of coffee. The reason that you should choose a burr grinder is that it is able to grind your coffee evenly. One of the best ways to get a better cup of coffee is to have a better grinder and be able to get better extraction and flavor. If you are using an inexpensive grinder that has blades, some of the beans end up being chopped into coarse chunks while others are going to be a fine powder. The coffee is going to be unevenly ground which makes the flavor inadequate. The course chunks do not give off the same level of flavor as they would if they were properly ground. The fine powder will make your coffee taste overly bitter. When you brew unevenly ground coffee, you get a cup that has both underdeveloped and overdeveloped flavors. This is because some of the coffee (the powder ground) will be overcooked while some of the coffee (the large chunks) are still raw and undercooked. If you use a burr grinder you are going to get a perfectly ground fluffy grind every single time. So, a great grinder, like the Encore, is going to offer up evenly ground grinds which is going to give you a perfect cup of coffee every single time. Now, this is something that you are not going to be able to skimp and buy. In fact, even an entry-level burr coffee grinder is going to run you around $100. This is a higher cost than the cheap and readily available blade grinders on the market, but you are sure to be pleased and happy with the investment once you make it. The Encore is the newest grinder from the Baratza line. This is a company that has been producing commercial grinders for some time. It costs more than some but it is a great value if you are in the market to save money by enjoying your own coffee at home. In fact, some users even stated that they enjoy their own fresh brewed coffee at home more than their favorite coffee shop. A large percentage of coffee shops have been choosing Baratza for their grinders thanks to their affordable commercial line. Overall, it is a solid choice for anyone who is craving superior coffee from home. The Baratza Encore is a solid machine that is not too big. It takes up a reasonable amount of counter space. The machine has a standing height of 13.3 inches tall. It is 5.5 inches wide and 6.3 inches deep. It is considerably smaller than most of the other coffee grinders on the market that are in the same class. There are smaller blade grinders, but you have learned why these are not the best choice for a superior cup of coffee. The Encore is heavy. It is very well constructed and features a solid plastic chassis. This machine feels like it will last a long time and you can be assured that it actually will. The construction is considerably sturdier than other grinders. However, this does not mean that the design is much different than other traditional designs. In fact, this grinder looks like a lot of other grinders on the market. It has a pair of conical burrs that rotate closely and have a very small gap between them. The grinder is fed by a transparent hopper that shows you how many beans are waiting to be ground. The DC motor is strong and made from a heavy steel. The burrs have sharp edges that can assist with grinding and grooves to help with the process as well. It works when the beans fall through the space between the burrs. The mechanism basically breaks them apart evenly and the grounds fall into the collection bin. The collection bin is constructed from a sturdy type of plastic. You can quickly and easily adjust the grind size from a coarse grind to a fine grind. This is done by simply swiveling the bean hopper to the left or right. This causes the gap between the burrs to expand or contract. There are actually a full forty coarse settings to choose between. Each position is highlighted by the graduated positions that you can easily view along the bean hopper base. The Baratza Encore can offer you the finest ground coffee for espresso. It can also offer you the coarse ground coffee that you need for a French press. It can offer you varying levels of coarseness through the flexibility of the forty settings. This means that the grinder is going to be the most flexible choice and one that is going to be great for you. Most other comparable grinders only have ten or fifteen settings for how coarse you want your coffee. This simply means that the Encore can offer you more. Grinder helps to create superior espresso and also helps with manual brewing. A high torque DC motor powers the grinder burrs. Internal switch that will shut off the grinder if the machine is getting too hot. Optional user calibration of burrs. Easily removable burrs to allow for easy cleaning. If you are sad that the Encore does not offer you a built-in scale to show the accurate weight of the coffee that you are grinding, there is an optional attachment called the Esatto that is available for the Encore. 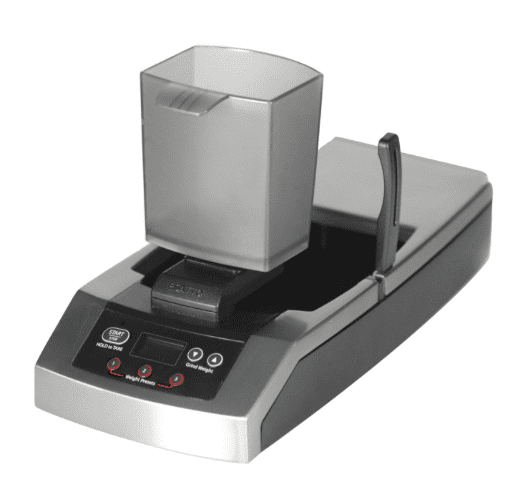 The Esatto allows for you to get the features and benefits of a built-in scale. The Encore can be taken apart for cleaning. A high torque DC motor helps the machine to run smooth. You will find that you can grind more coffee, grinder longer, and yet still have the nice cool grind process that you desire. The burrs have been pre-calibrated by the company. However, this does not mean that you cannot calibrate them to your own specifics. The grinder can actually allow for you to change the speed. 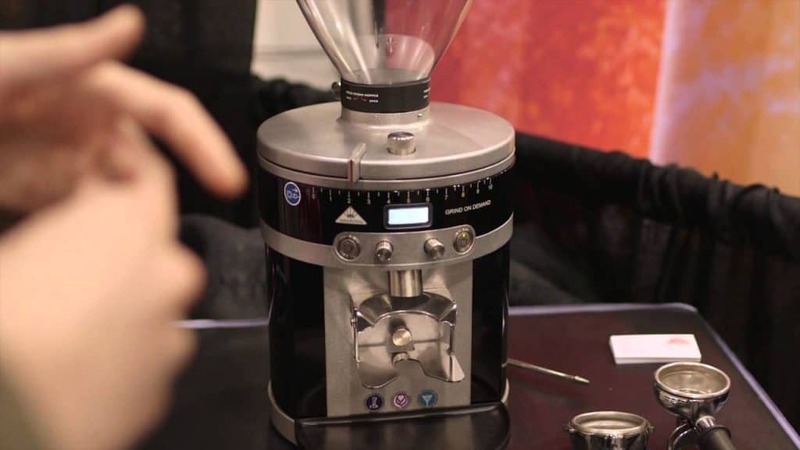 You can grind coffee with burrs that are rotating between 405 and 495 RPM. This allows for you to have specific modifications that you might want. Esatto is available for the ability to weigh your grinds. High-level output with very little input or desire for input. Ability to customize the machine to make the exact grind that you want. The cleaning process is difficult and hard to utilize. Still a little on the bulky side. Made of plastic and not stainless steel. The Baratza Encore is a great conical burr grinder. 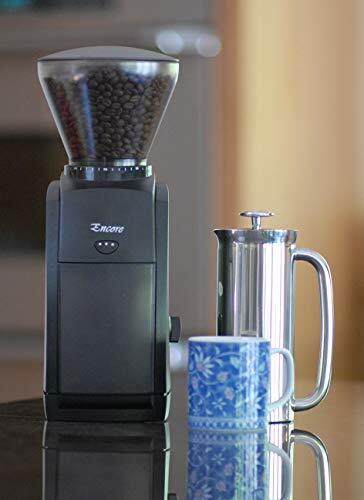 This is a great choice for anyone who wants a superior cup of coffee and is certainly a grinder that we would recommend. It offers solid features and has everything that you could want from a coffee grinder. It is a great tool to use for someone who has never made ground coffee before as it is really easy. With the choice between the Baratza Encore and the Mahlkonig Vario, the choice for us was simple. The price of the Vario is more than ten times that of the Encore. Both machines have their obvious advantages, but if you are looking for a unit for your home then the Encore is going to be the right choice for you. You will be pleased with its performance and better yet, it is something that you too can afford as well. Happy grinding!